Gale Wilhelm was born today, April 26, in 1908. 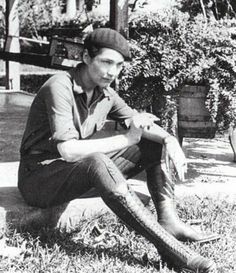 She was an American writer most noted for two books that featured lesbian themes written in the 1930s: We Too Are Drifting and Torchlight to Valhalla. Wilhelm was born in Eugene, Oregon. She was the youngest of five children, educated in Oregon, Idaho, and Washington. The family moved to San Francisco, California when Wilhelm was a teenager. Wilhelm published several short stories in 1934 and 1935, her first appearing in Literary America. 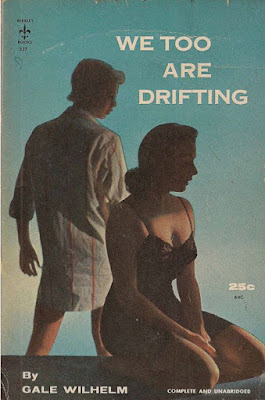 With the assistance of a literary agent, Wilhelm published We Too Are Drifting in 1935 by Random House, to many favorable reviews. In 1938, Random House published Torchlight to Valhalla, another lesbian-themed novel in which the protagonist, a young woman, is pursued by a very handsome and charming young man, but realizes her true happiness is with another young woman. Wilhelm wrote three more novels, Bring Home the Bride in 1940, The Time Between in 1942 and Never Let Me Go in 1945, all with heterosexual themes. Never Let Me Go included praise from Wilhelm's friend Carl Sandburg on the book jacket. Wilhelm also published stories in Colliers and Yale Review in the early 1940s, but didn't publish anything new after 1943. However, both Wilhelm's lesbian themed books were reprinted many times in the 1940s, 1950s, and 1960s. Torchlight to Valhalla was given a new name, The Strange Path, with a rather salacious cover in 1953. In 1975, Torchlight to Valhalla was reprinted by Arno Press's library edition of Homosexuality: Lesbians and Gay Men in Society, History and Literature. Wilhelm lived with Helen Hope Rudolph Page (pictured at right with Wilhelm) in San Francisco from 1938 until Page's death in the late 1940s. Barbara Grier, who founded Naiad Press, spent several years attempting to locate Wilhelm. The 1984 Naiad Press edition of We Too Are Drifting included a foreword by Grier describing Wilhelm's life and pleading for any assistance from anyone who knew any information on the whereabouts of Wilhelm. By the time Naiad published Torchlight to Valhalla in 1985, it contained a foreword by Wilhelm herself, information given to Grier by an anonymous source. Grier speculated that Wilhelm stopped writing before she turned 40 years old because "the world would not let her write the books she wanted." 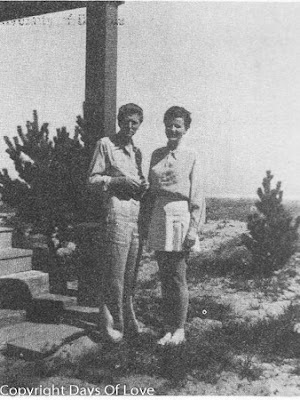 Wilhelm lived with Kathleen Huebner from 1953 until her death on July 11, 1991, from cancer at age 83.